This is, by far, the most mum-friendly way to sneak booze into a Little League game that we’ve ever seen. 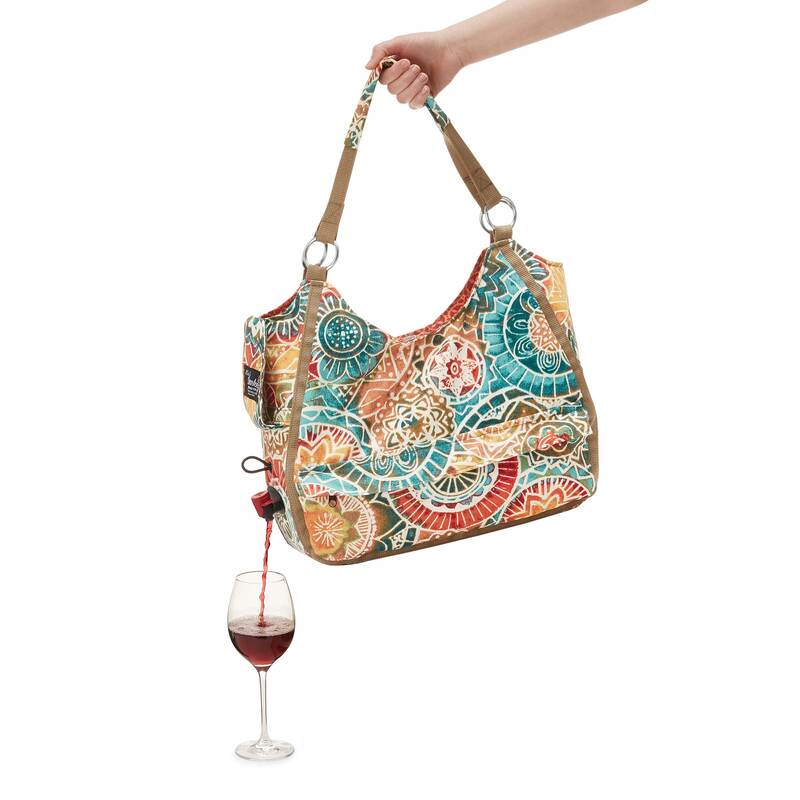 Brought to you by Uncommon Goods, the fine people behind the keyboard waffle iron and the melon corer and fork, this “Wine Dispensing Travel Tote” is the answer to your prayers. While flasks and other discrete methods of alcohol transportation usually only hold a pathetic amount of alcohol, this bag can fit an entire five litres of wine (or whatever your adult beverage of choice may be). The website boasts, “Whether you’re heading for a beach day with the girls or an afternoon picnic, this stylish bag completes your ensemble with boozy bravado.” Well said. We really can’t think of a time when we don’t need a whole box of wine, chilled and at the ready. Snark aside, we’ll admit that despite the unfortunate design, we’d probably buy one of these bags. It has all five-star reviews, with customers raving about how much they love the tote, and yes, there are a few mentions of taking it to kids’ sporting events. Cheryl from Alabama explained, “I really surprised my friends when I lifted the flap and asked them if they wanted a drink! They were still struggling with their coolers- ha ha!” Ha ha, indeed, Cheryl.